Redwood National Park comprises a region of coastal mountains bordering the Pacific Ocean north of San Francisco. It is covered with a magnificent forest of coastal redwood trees, the tallest and most impressive trees in the world. The marine and land life are equally remarkable, in particular, the sea lions, the bald eagle and the endangered California brown pelican. Redwoods are the tallest trees in the world. I was able to see the giant eucalyptus trees of Tasmania which are almost as tall as the redwoods, but they aren’t quite as impressive because they are hardwoods and have a small trunk. In addition to Redwood State and National Parks, you can also see Redwoods as far south as San Francisco in Muir Woods. They are one of the highlights on any trip to California. The Redwood National Park in California is a UNESCO World Heritage Site that was inscribed in 1980. It was established in 1969 as a national park and is currently co-managed by the US National Park Service and California Department of Parks and Recreation. The entire park measures at 139,000 acres in land area with a little over half a million tourist visits per year. The park belongs to two counties in California: Humboldt and Del Norte. 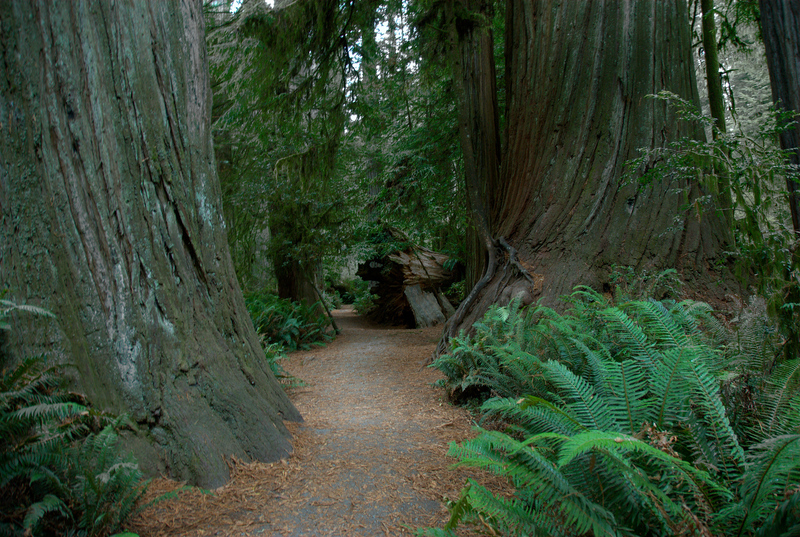 The park’s main feature is the famous old-growth redwood trees and forest. It was established to protect the coast redwood old-growth forests, which is comprised of the tallest and largest tree species in the world. The Redwood National Park is one of California’s most significant protected areas. It is teeming in flora and fauna species that inhabit the park grounds. The old-growth redwood forest is the main flora species that are worked on being preserved since about 96% of them had been logged. Meanwhile, nearly half of the remaining redwoods in the world are contained within the Redwood National Park in California. The preservation of these tree species is important because they represent at least 20 million years of existence for a tree species. Aside from the popular and ancient redwoods, there are also a variety of fauna species that inhabit the park and are also being preserved by the park management. There are a number of rare animal species that inhabit the numerous ecosystems in the park (consisting of a prairie, river, densely forested zones, and seacoast). Among the animal species that call this park home include threatened species like the Steller’s sea lion, Chinook salmon, and northern spotted owl. Other animal species that are protected within the park are cougars, black bears, coyotes, river otters, elks, black-tailed deer, bobcats, and beavers, among others. No matter how tall you are, you cannot help but feel tiny around the redwood trees in California’s Redwood National Park. These redwoods soar up the sky like skyscrapers. If you plan on visiting your park, there is more to do with your time than just marvel at the world’s tallest tree species. Your first stop is the Thomas H. Kuchel Visitor Center, which is just one of five visitor centers in the park. This one is the largest though, which features various exhibits and films showcasing the history and ecology of the park. There is also a bookstore at the visitor center that you can visit to pick up some souvenirs. Then, you can drive a few miles to the Klamath River Overlook wherein you can marvel the sight of the freshwater river joining into the Pacific Ocean. This overlook point rises up to 198 meters above the sea to provide the perfect vantage point for watching migrating gray whales and the dramatic crashing surf waves. The next stop is the High Bluff Overlook wherein you will find picnic areas. Or, if you fancy something more adventurous, you can explore the Yurok Loop, a lovely coastal walk that takes you to the pristine Hidden Beach. 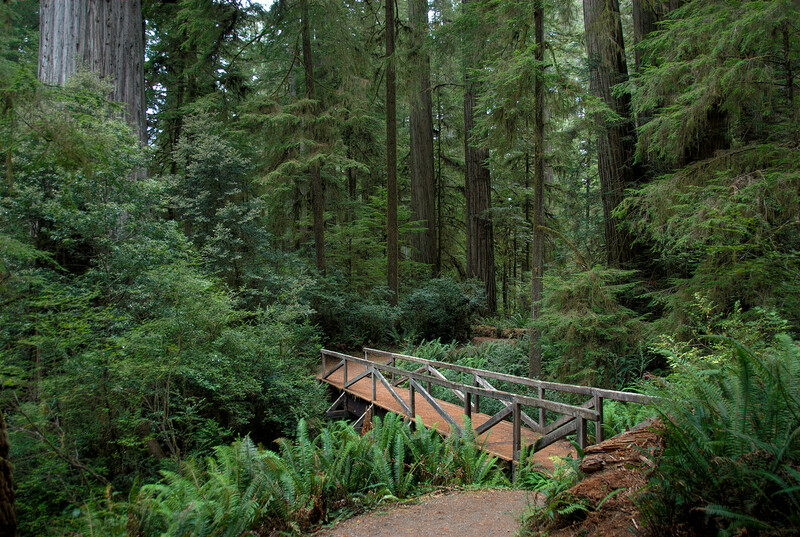 Finally, take a stroll to the Lady Bird Johnson Grove loop, wherein you can be in awe beneath the towering redwoods. 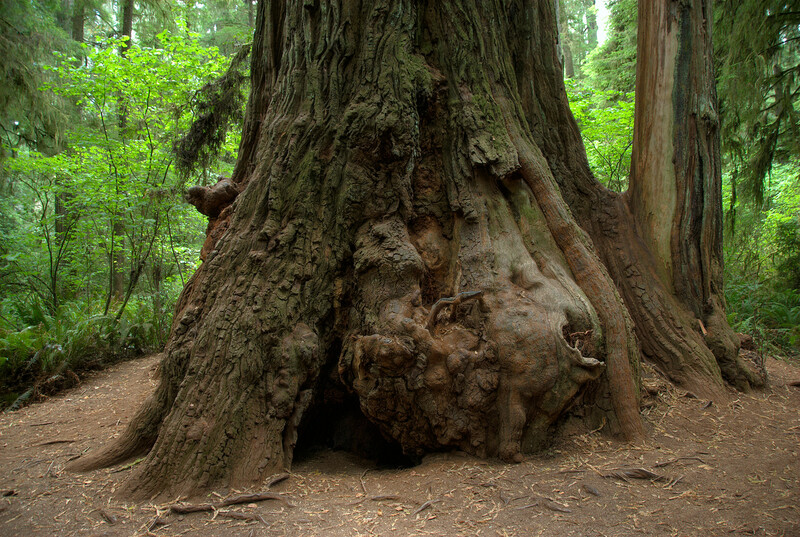 The Redwood National Park is committed to preserving the redwood trees in California. 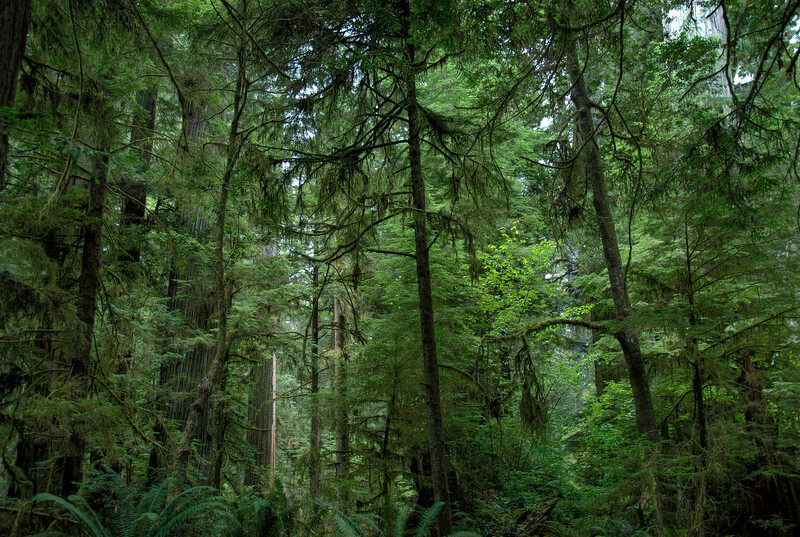 The State of California partnered with the Save-the-Redwoods League in order to protect areas wherein there are concentrated redwood groves or forests. This was in the 1920s, prior to the formation of a state park system in California. 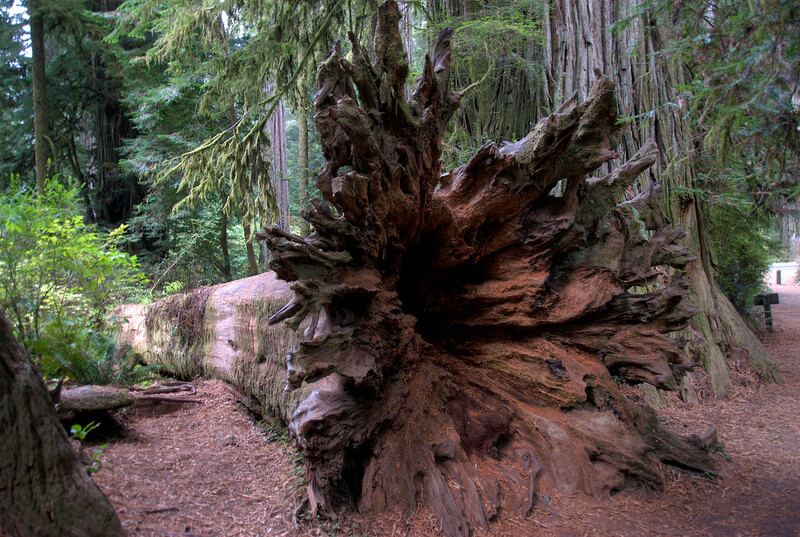 By this time when the state park system was established, there were already three preserved redwood areas. As the threat of logging continues, the effort to preserve not just the redwood trees in the park (along with its neighboring areas), but the old-growth redwood forest, was becoming more persistent. The naming of Redwood National Park as a UNESCO World Heritage Site and as an International Biosphere Reserve contributed to any ongoing efforts at preserving the forests. If you enter the park from the south, I recommend stopping at the Redwood Information Center in the Orick zone off the Highway 101. Besides picking the trail map, explore the exhibits as well as publications telling you all regarding the trees, shore, and park. If at all you are coming from the north, visit the Hiouchi Information Center on Highway 199, which caters to you only in summer season. For information on any day, be in its Crescent City area’s Park Headquarters. Tip: do explore the close by highlights: Del Norte County Museum, Battery Point Lighthouse, and Citizens Dock.